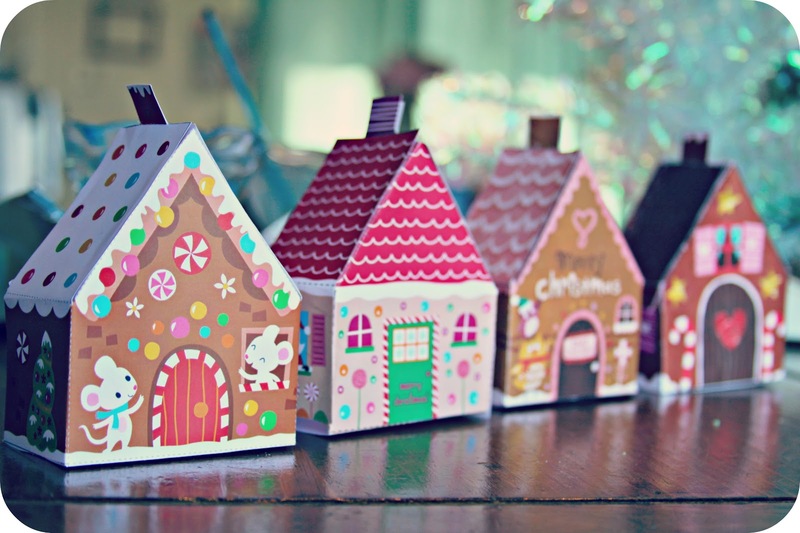 I found some fun printable gingerbread houses on Pinterest. Like, super cute & adorable ones. 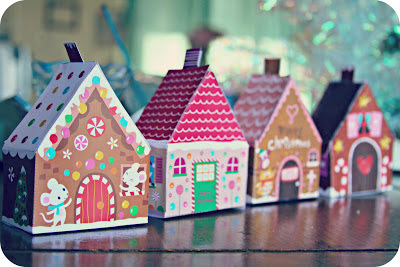 They are from the blog We Love to Illustrate for Children, & there are are 6 different designs. The girls loved cutting them out & assembling them. (They pulled out their Littlest Pet Shops & other tiny toys to play too.) With Christmas break quickly approaching, this would be a perfect project to keep little ones ones busy. These are very cute....thanks for the link. Oh, oh, oh, oh, OH! My kiddos would greatly enjoy these additions to their "Borrowers" play sets- anything tiny is a HIT in our household!